When I first had it in my head that I wanted to take on the Canadian Death Race, it wasn’t too long after I happened to visit my sports medicine doctor. His advice to me was to go the mountains at least 2 weeks in advance to aclimate, and I would have some time in my taper to get to know the course. 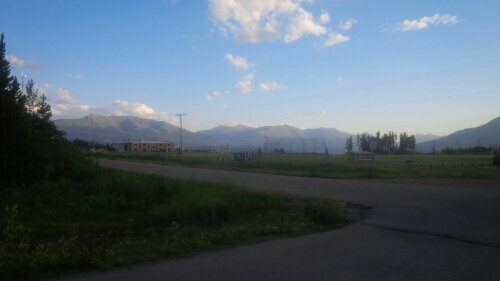 Once I got to Grande Cache, it was 9pm or so and there was still plenty of light. I grabed some dinner at the Big Horn Grille and chatted with the server. She recommended that I join a Facebook group that all the local mountain runnes are members of. I did that and this awesome couple has taken me under their wing as a result. We met up and tackled leg 1. What a great and reassuring experience. Though this is one of the easier legs, the experience has reassured me that my anticipated time for leg 1 is realistic. Further to that, the folks I was running with knew the course well and although they are not “elite”, they were tonnes of help. So my plan of attack is really starting to take form. 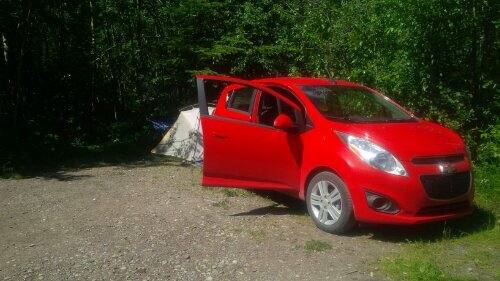 Here is some advice: don’t drive through a mountain range with a Chevy Spark. Insomnia, as night turns to day.